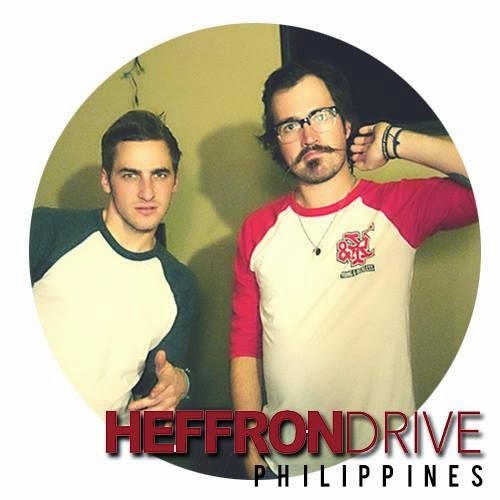 BTR|HD Philippines: James talks Big Time Rush Tour and more! 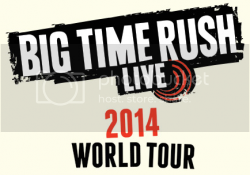 James talks Big Time Rush Tour and more! 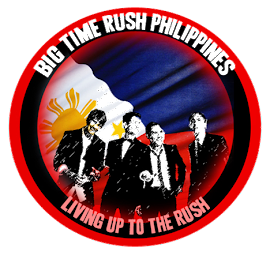 Big Time Rush, the band formed by the Nickelodeon folks has never been busier. They are writing new music, going on tour this summer and also filming the third season of their Nick show. James called us from the set. So how do the guys really feel about One Direction and the current popularity of boy bands? What do they do behind the scenes while on tour? Was anybody hurt during the wild antics when they shot their Big Time Movie? Kidzworld: Hey James, lots has happened since I talked to you right after the TV show had first started. You are going on tour so do you guys have any rituals you perform before going on stage? James: Yeah. We blast a lot of music before we go on to get in the spirit. We’re on tour six months straight. Lots of times we’ll blast stuff like Shrillex and do a big bangarang before we go on stage. 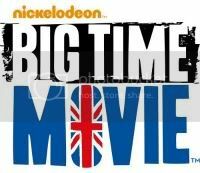 Kidzworld: Lots of stunts in your Big Time Movie. Was anyone hurt? You guys were running all over the place. James: Nobody really got hurt. I’m tall and have back problems sometimes anyway but I pulled a little back muscle without even knowing just from carrying people. Little injuries can be annoying but, for the most part, we were pretty safe. Kidzworld: You’re shooting your third season on the show. What will be new for the fans? James: Everybody has grown up a little bit. It’s been a year since we’ve been in the studio filming and I think that’s an aspect. In the first episode we’re incorporating real life footage of us with the TV show so it’s kind of a life reflects art thing and more a part of what we do. Kidzworld: Fun! How has the band grown and changed and how have you personally grown and changed since forming in 2009? James: At the beginning, we were focusing on the TV show so a lot of the music was written by other producers and writers. It was fantastic but we’re all individual artists and writing for a long time so the second album (“Elevate”) much more reflects what we like to hear because we wrote the majority of it. I think Big Time Rush has become more of a unified band since we started and we’ve kind of taken the reins. We love doing this and this is our sound and we want to continue doing it for a long time. Kidzworld: How do you guys really feel about One Direction or The Wanted because they hit it big after you guys? Do you feel as if they are copying? James: We’re not opposed to them at all. One Direction opened for us on the tour so the first time they ever played in America was opening for us so, obviously, we’re not hatin’ on them. I’m sure they would have done well regardless but they’re very nice guys. They must have thanked us three times a night every night. The bigger they become or boy bands as a whole become, the better it is for all of us. When we started there were no boy bands around at the time. Backstreet and ‘NSync” but no current ones around so people weren’t sure they wanted them back. But, now that there are multiple bands like us doing well, it’s better for all of us. Kidzworld: Makes sense. When you were a kid or teen did you listed to boy bands of that era like Boyz 2 Men or ‘NSync, Backstreet Boys etc.? James: I never really listened to them then. I was at an age where I just wanted to skate and surf and boy bands weren’t the coolest thing for a guy then. I respect the guy fans at this point but, having said that, ‘NSync was so big and successful that I listened to their music even though I didn’t purposely seek it out. Kidzworld: What is a typical day like for you when you are NOT working? James: Well, we had five days off on our schedule so we try to take advantage. We went to Hawaii. Kidzworld: So you guys still hang out together even when you’re not working? James: Yeah. Crazy, right? We get sick of each other on a daily basis but each of us is so different from the others and that’s where any arguments come from. We’re all unique people but on the vacation we had a great time. When there is no work involved and no pressure from that, we have a great time. We’re really good friends. Kidzworld: It’s prom time so can you briefly re-tell me your personal prom story? James: I went every year from my Freshman year through being a Senior because I had friends in different grades. One of the coolest one was my Freshman year. I went to Coronado (San Diego area) with Avalon High School. I got to take a boat over to this island to have a prom. Kidzworld: So cool! Personally, what goal do you still have for yourself; a Broadway show, a solo album, a big movie part, being a director? What? James: Right now my focus is on Big Time Rush but I can’t wait to do other projects in music and acting. Getting very specific, I’ve always wanted to play a superhero. Maybe a younger version of Superman. I think they are doing The Flash, one of the cooler superheroes. If the timing is right, I’d like to jump at that opportunity. Kidzworld: When on a tour, what do you guys do to kick back? Do you just watch Blu-Rays or play Wii or video games on the bus? James: We’ve got an X-box on the bus and made a little recording studio in the back and we bring our dogs so we have them to play with. Carlos and I are in one bus. I’ve got a dog named Fox and Carlos has a big German Shepard. Almost every day we’ll go to a gym in whatever town we’re in so, if we run there, we’ll see stuff which is always fun. We get to see a little more than just the bus. Kidzworld: Why will young fans who aren’t that familiar with your music really enjoy seeing you on tour this summer? James: Well I love music and going to concerts but I get a little bit bored if somebody just stands there and sings. There are four of us and we’re constantly moving. We throw in acrobatics. We get fans singing and try to create a really phenomenal experience for everybody. There will be things to watch. There will be pyro, we have other dancers on this tour. We hope and believe that nobody’s gonna be bored. They’ll be on their feet the whole time and whether you know us or haven’t heard even one song before, you’re gonna have a good time just watching the show.